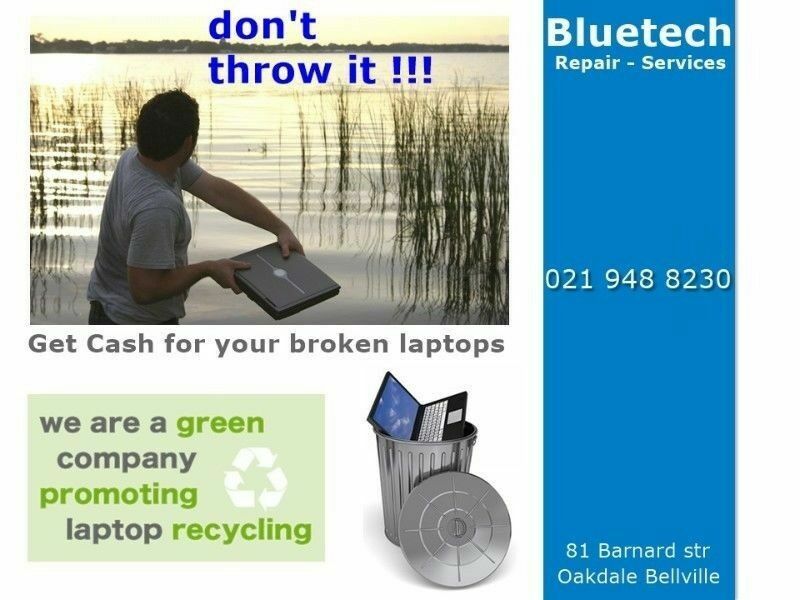 Hi, I’m interested in We Buy Broken - Used Laptops at Bluetech Computers Oakdale Bellville . Please contact me. Thanks! Email or phone us with the model number of your Laptop today..
Sell your used and broken laptops to us for cash.